If you enjoy planning and spending copious amounts of time in the stationery aisle, you've probably heard of Erin Condren. They specialize in teacher planners and are well known for their coiled Life Planners, which feature three different layouts: Horizontal, Vertical, and Hourly. 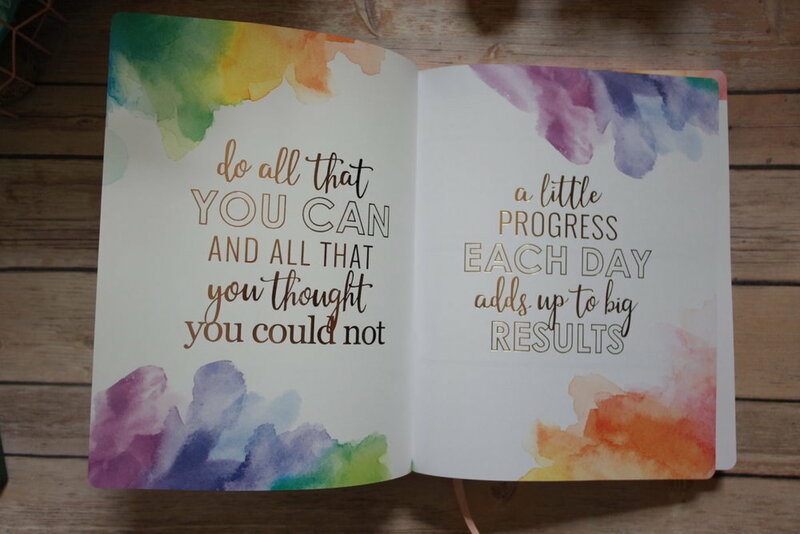 Recently, Erin Condren released hardbound planners, which I'm so excited to try! 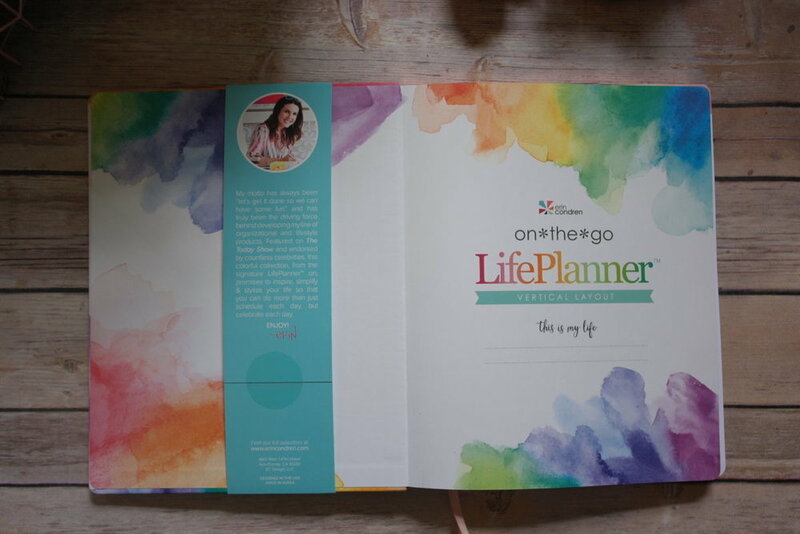 Yes, I'm a traveler's notebook girl, but I've always been mesmerized by the Erin Condren Life Planner (ECLP, for short). However, the coil was a little too bulky for me. That's why I was really excited to see these hardbound planners! The cover has a beautifully smooth finish that I can't stop touching. This particular watercolor edition of the large hardbound planner is from Amazon for $35 and runs from July 2017 to December 2018. If you're hesitant to shell out $55 (plus shipping) for a classic ECLP, I'd recommend trying a hardbound planner first! The large hardbound planners (8x10) only come in vertical layouts, and the small hardbound planners (5x8) only come in horizontal. This large hardbound planner measures 8x10. That makes it slightly larger than the classic coiled planners. This watercolor version has rose gold-foiled quotes, which I can't stop staring at! The interior is truly gorgeous. And not to be outdone, the pages are also sprayed rose gold. Here's a close-up, and I hope it captures the beauty of this planner! After the quote pages, we get these two pages, which act kind of as a perpetual calendar. You can list major upcoming events for the rest of the year, goals per month, or even a favorite quote that you want to keep in mind. There's a ton of room per box, so the sky's the limit! Here are the monthly pages. The beautiful watercolor theme continues in the monthly headers here! There's a sidebar for monthly lists as well, which should come in handy for high-level to-do's, or even as a budget tracker. And now, the beloved vertical weekly layout! I like that the little headers are blank, rather than being pre-labeled. Also, isn't the ombre effect from the start of the week to the end of the week lovely? One thing to note that the weeks are Monday-Sunday, which I prefer, but I know others don't. Having three boxes per day allow you to spread out your priorities. For example, if I use this planner as my fitness planner, I might dedicate one box to meals, one to exercise tracking, and one to quotes, motivation, and progress photos. However, since this hardbound planner is a bit larger than the classic coiled planner, it stands to reason that the vertical boxes here are also a bit larger. In the photo above, I tested out a classic Happy Planner box sticker, and Erin Condren stickers. On the left, you can see that the classic Happy Planner sticker fits length-wise, but doesn't fit the box's width. This looks pretty weird, unfortunately. On the left, you have classic Erin Condren stickers sized for their vertical boxes. The full box is too short and too narrow, but you could center the boxes to make them work. In my opinion, this looks better than the Happy Planner box sticker that leaves slivers of white space on the sides. The header stickers also do not fit completely, but it's not the end of the world. 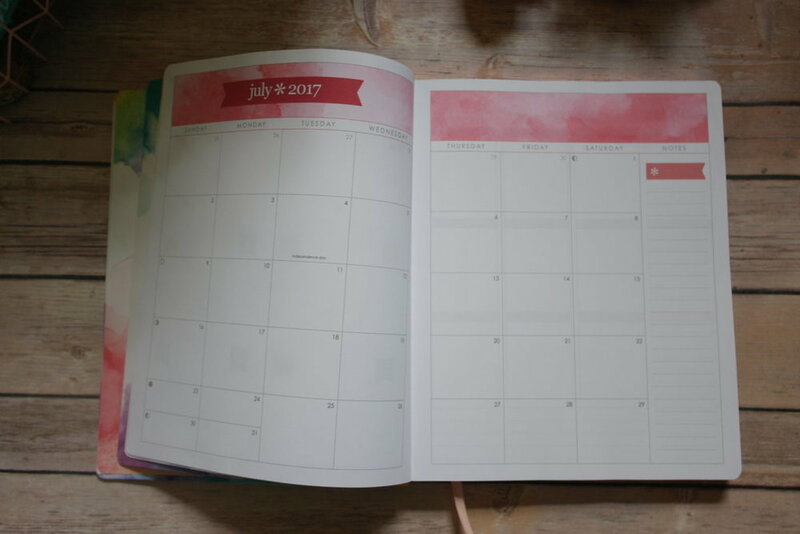 I do hope that Etsy sellers re-size their kits to accommodate this new style of Erin Condren planner, though! Well, what do you think? I'm still figuring out how to fit this ECLP Hardbound into my daily planning. It's definitely something that I'm going to have to keep at home. I will probably either turn it into my health tracker or creative hobbies tracker- something that I can log at the end of the day and in bed.